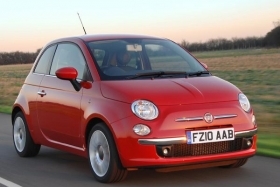 Chrysler will sell an electric version of the Fiat 500, pictured. TURIN – Chrysler Group said today that it plans to build an electric version of the Fiat 500 minicar for sale in the United States beginning in 2012. Chrysler said the electric 500 will use an "advanced" lithium ion battery pack but did not give any technical specifications of the car, which will be sold as a Fiat model. The company said the car's pricing will be announced closer to launch and will be competitive with similar electric vehicles in the market. At the Detroit auto show in January, where a concept of an electric Fiat 500 was unveiled, Fiat and Chrysler CEO Sergio Marchionne said the concept would sell for about $32,000 if it went on the market, of which $16,000 covered the cost of the batteries. Chrysler did not announce a production target for the 500EV. Marchionne said in November that Chrysler plans to produce about 56,000 electric vehicles annually by 2014. Chrysler said all powertrain engineering and vehicle development for the 500EV will take place at the company headquarters in Auburn Hills, Michigan. Chrysler is the vehicle electrification center of competence for both Chrysler Group and Fiat Group. Scott Kunselman, Chrysler's senior vice president of engineering, said the alliance with Fiat presented opportunities to merge Chrysler engineering knowledge with new platforms from Fiat. “The Fiat 500EV is an outstanding example of our efforts: the Fiat 500 is a small, lightweight platform perfect for integrating electric-vehicle technology,” Kunselman said in a statement. A concept for the electric-powered Fiat 500 was shown at the Detroit auto show in January. 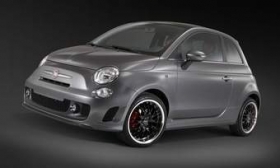 Chrysler will launch U.S. sales of the Fiat 500 powered by a 1.4-liter gasoline engine in December. The car will be built in Mexico for the North American market. In Europe, Fiat revived the 500, an iconic car of the post-war years, in 2007. Fiat's rivals in Europe, Peugeot and Citroen, will begin selling electric cars in European markets by the end of the year. Renault will follow in 2011 and Volkswagen in 2013.